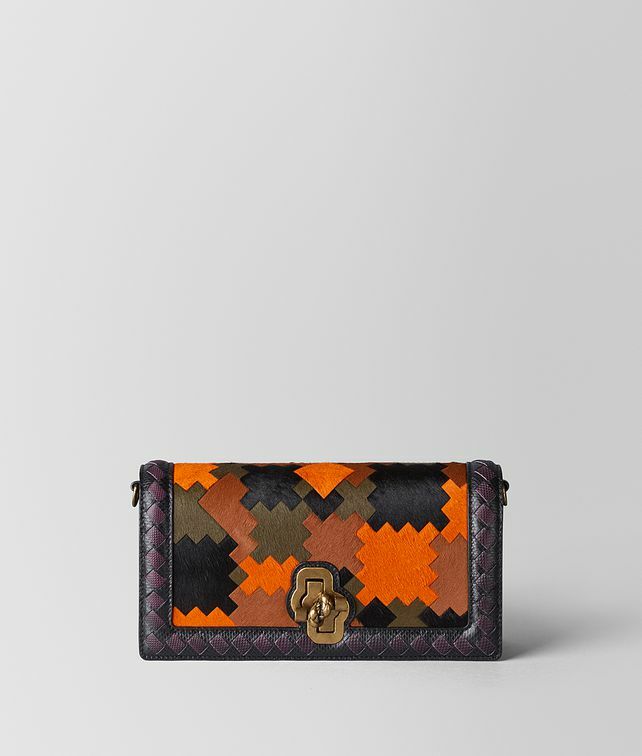 The new collection’s eclectic mix of colour, print, and texture is distilled into one bag: the BV Patch Knot clutch. With a base featuring more than 60 pieces of hair calf leather in a bi-colour intrecciato karung frame, the design is a study in artistic contrast. Finished with a detachable shoulder strap and distinctive twist-lock fastening. Depth: 7 cm | 2.5"